This sleek looking black chair is constructed from a durable resin. These glossy chairs have such a piercing look, they will look good with or without the cushion. There are white and black cushions to choose from. 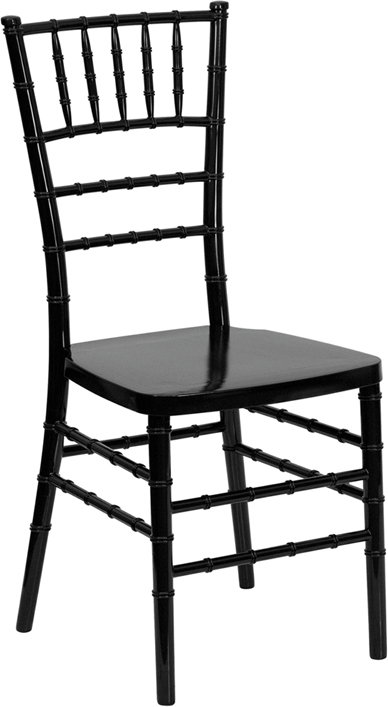 These ballroom chairs can be used fro indoor and outdoor events.